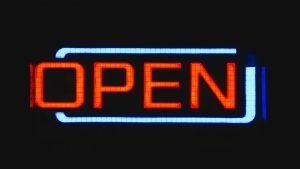 What does being open even mean? Is it something to talk about? It sure is. Open-mindedness is what is needed in every human being who is living in this world. It is about being tolerant and understanding of what’s happening. It’s the art of accepting in simple words. Giving the freedom to do what an individual wants to do morally. Being honest and encouraging is all you can do to your neighbor. An act of kindness, Can’t you? Bind a child and he’d wait to flee. Leave him to his will by correcting him, he’d stay and follow the right way. It is simple yet complicated. How does being the open affect the society? Well, it is said that the children of today are the citizens of tomorrow right? If you aren’t open enough to encourage your children and give them the liberty to pursue their dreams, how can you then expect the society to flourish? Never. It’s all about minding your own business and not poking into others’ matters. That could save a lot and energy which could be used for something better. Why do you think there’s more growth in the countries where there’s openness? Focus – Focus on what’s important – The Productivity. Be innovative, be you. Innovation could be discovering a different solution to a problem in all forms of society. The energizing factor for innovation is open-mindedness. The manifestation of open-mindedness is experimentation. Through these trials and tests, nations can discover new means to deal with health care issues, unemployment, labor market incompetency, ecological hazards and more. It’s the mindset of the people that can either build up the society or pull it down. Urban areas can figure out mobility, financial and social challenges through broad thinking and experimentation of freedom. 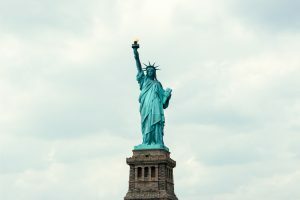 The liberty gives a new approach to business and can make it more distinct, comprehensive and mature. The administrations can surface out with innovative techniques of establishing firms, modern products, and pristine trade. The open-mindedness gives the spirit of competition which helps to compete with the challenges of other teams and emerge out victorious. It gives people the ways to modify their work, life and to make it simple and customized. This spirit of open-mindedness throws away the typical thoughts and traditions and gives them a new life that is employed, happy and healthy. It gives you the willingness to accept the ideology and the doing which results in anything. It broadens your way of thinking, making you wonder and instills the curiosity in you. Open-mindedness leads to modernism, dexterity, development to production and to employment. Being rich in mind makes you rich by heart. You don’t need the currencies if you have the openness in you then you are already successful. It is the measure of the forthcoming triumph of any unit. It’s all progress with it, whereas the dogmas lead you nowhere. There are few who are fastened to the system of beliefs and who wouldn’t change for the world. They are the virus in the society. They should be taught and made aware of what’s not right and what is. The broad thinking and the liberty to do is what is needed in the society today. Life with an open mind is the zeal to learn and the compliance to be wrong. It is about accepting it as it is. But the close-minded people never agree they are wrong, they disagree- they’d rather perish than be wrong. It is the negativity around. Embrace the liberty and the openness by living the life to its fullest!